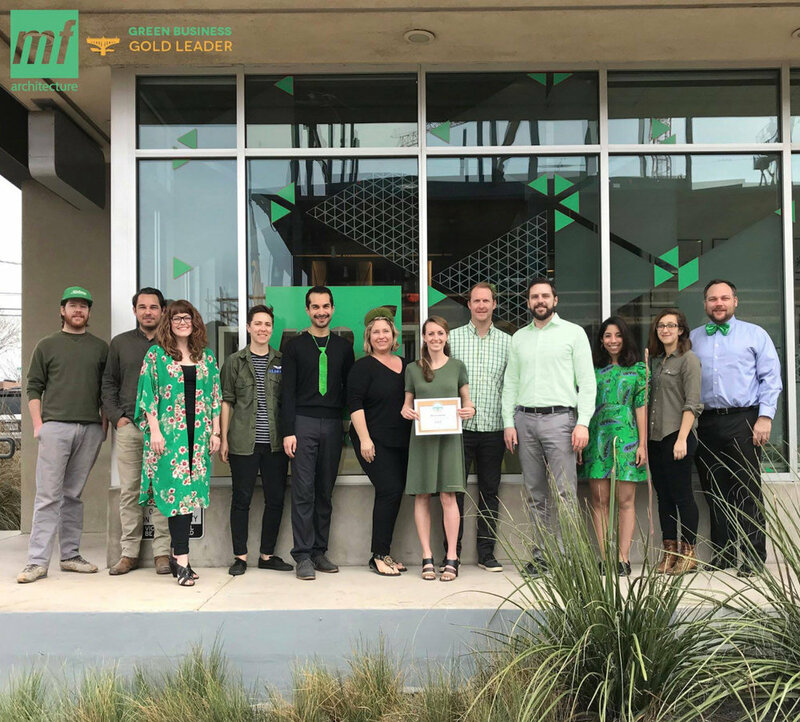 MF Architecture has received Austin Green Business Leaders GOLD recognition for the team's attention to green practices in the office. For the past few months, all team members have been taking actions, both large and small, to consciously conserve water, energy, and material use, reduce waste, mitigate individual carbon footprints, and server the community. The practice will continue to track the progress through the year and hope to improve by promoting more alternative transit days, volunteer opportunities, and healthier habits. Special shout out to Kendall Claus, who has been leading the practice's sustainability initiatives. Learn more about the Austin Green Business Leaders program here.